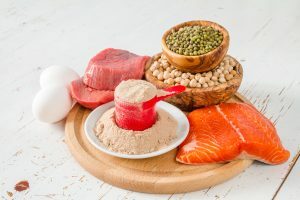 To meet the protein requirements of its growing population, the world must discover new alternative protein sources. It is therefore essential to understand the value and consequent suitability of these proteins for human nutrition. The FAO recommends the use of the Digestible Indispensable Amino Acid Score (DIAAS) method instead of the PDCAAS measurement. The DIAAS is based on the true ileal digestibility of each amino acid preferably measured in humans or animal models. The Three Rs (3Rs) principle, the guiding principle for more ethical use of animal testing, is one of the corporate responsibilities of the food industry. So are you ready for DIAAS without expensive clinical or animal trials? Triskelion has developed an in vitro method which allows rapid and cost-effective evaluation of both, the true ileal digestibility and the DIAAS method. Our unique dynamic in vitro gastrointestinal model tiny-TIM simulates the dynamic conditions of the upper tract. DIAAS can be accurately and reliably determined in the TIM system (Havenaar et al 2016). The dynamic gastrointestinal TIM models are a validated alternative for animal testing. If you are interested in speeding up your product development process, please contact us: info@triskelion.nl. We would be more than happy to give you more information. We’re happy to announce the open OrBiTo webinar that will take place on Monday 16 April 2018 at 4 pm (Central European Time). The webinar will kick off with a brief introduction of the OrBiTo project explaining the work packages, the organization and the obtained results (Dr. Bertil Abrahamsson – AstraZeneca). The second speaker (Philipp Jedamzik – University of Greifswald) will inform you about the biorelevant dissolution model ‘GastroDuo’. A final talk will be given by Dr. Ronald Schilderink (Triskelion) and Dr. Richard Barker (AstraZeneca). Both will present their latest findings related to the TIM advanced gastric model. For TC information, please click here. Enter the Meeting ID: 507822439 or use the pairing code. More information can be found on LinkedIn. For any questions, please feel free to contact us: info@triskelion.nl. Triskelion proudly presents an interview with expert Anne Kleinnijenhuis, which was filmed at the EBF conference. Please click here to see the interview, posted by Bioanalysis Zone. In this interview, Anne Kleinnijenhuis describes his current research focus, and what first began his interest in LC–MS. Anne goes on to discuss the challenges involved in the techniques he uses, and specifically identifies the key challenges he faces when utilizing LC–MS. Anne concludes by discussing regulating and standardizing LC–MS before speculating on the future of the technology. Please do not hesitate to contact us in case you have questions or remarks: +31 6 5280 3578 / pharma@triskelion.nl. 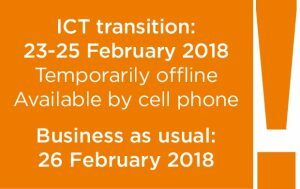 Between 23 and 25 February 2018 Triskelion will be in a short ICT transition. We will be temporarily offline. However, during this period your contact person will be available by cell phone. Monday 26 February 2018 business will resume as usual. First Dutch Innovations has appointed Anita Spooren and Robert van den Berg as Managing Directors of Triskelion. Anita Spooren and Robert van den Berg already were responsible for managing the daily business of Triskelion, after the sudden death of Triskelion’s previous CEO Hans van Veen earlier this year. They both have been working in several management roles within Triskelion and her predecessor TNO, and are well acquainted with the Triskelion business. As Managing Directors, they have a shared responsibility. Robert van den Berg will mainly focus on business, whereas Anita Spooren’s main focus will be on the organization. With this new management team, First Dutch Innovations and Triskelion have full confidence to reach the goals set for the next years.